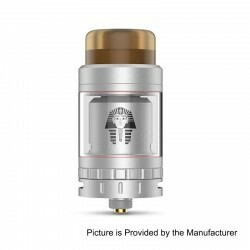 Designed by Rip Trippers, the authentic Digiflavor Pharaoh Mini RTA is one of the best flavor maker, giving you best vaping experience. 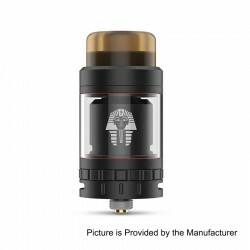 The Pharaoh Mini is 24mm in diameter and comes with 2ml capacity. It can be extended to 5ml with spare glass tube. The interchangeable build deck design allows more options of building for you.